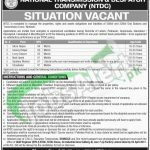 Recruitment offers are being offered from National Transmission & Despatch Company Jobs 2017 Lahore, Peshawar Latest. Guys, for you here an amazing job offer is shining from a well known company named National Transmission & Despatch Company Limited intends to hire the eligible, caliber, hard working and dynamic applicants are required to apply fill the following posts which include (Store Helper, Survey Helper, Lorry Cleaner, Naib Qasid, Sanitary Worker and Chowkidar) are the posts which needs to be filled along with overall qualification of Matric, Middle and those of literate applicants will be eligible to apply. No experience is required to apply for such posts. Age limit should be 18-25 years with 5 years age relaxation will be granted to the applicants. Domicile holders of Lahore, Peshawar, Gujranwala, Islamabad/ Muzaffargarh, Rawalpindi and Faisalabad are eligible to apply on contract basis for the duration of single year which will be extended further on account of satisfactory performance of the applicants. All those employees of NTDC who have completed their 2 year’s continue their services till the completion of the receipt of application are eligible to apply. All the willing and interested applicants are required to download the form from the NTDC website or from the given link below. Applications fully filled along with attested copies of educational and experience certificates, CNIN, Domicile and recent passport size photograph should reach at the proper address. Last date for applying is 3rd April 2017. Authority reserves the right to cancel or reject any application form. Incomplete application and those of carrying incorrect information will stand rejected. 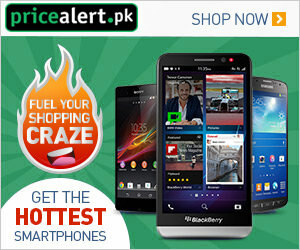 Address: Chief Engineer (EHV-01), NTDC, NTDC House, 34-Industrial Area, Gulberg-03, near 7-up Factory Lahore.